Villa ILA is a newly built one-storey house with swimming pool in the small village Diminici near the sea and the Kamp Tunarica. The nearest restaurant and shop are in Koromacno, Labin and the famous Rabac are within a 20-minute drive. On enclosed property there is a swimming pool of 30 sqm, a sunbathing area and 6 deckchairs as well as a covered terrace with table and chairs, a barbecue and two parking places. 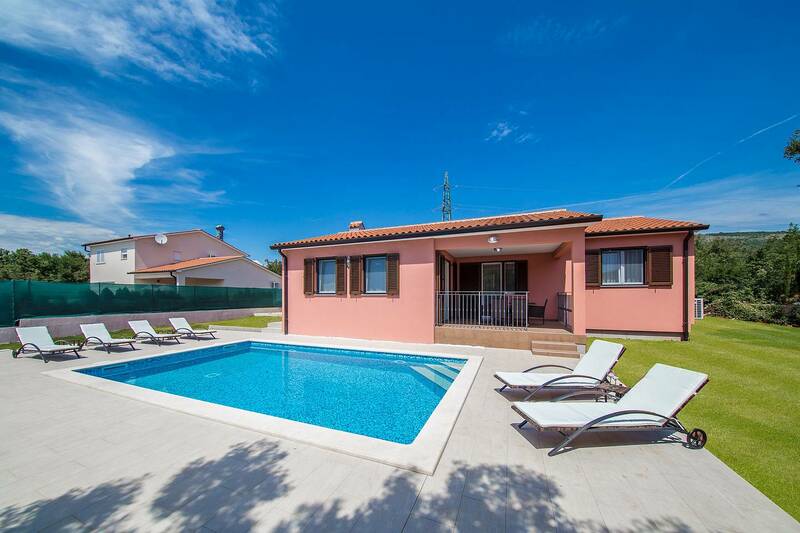 Villa ILA is modern furnished and has a fully equipped kitchen, dining room with table and chairs and satellite TV, two bedrooms with double bed (160x200), one bedroom with two single beds (90x200), two shower/toilets and a separate toilet with washbasin.